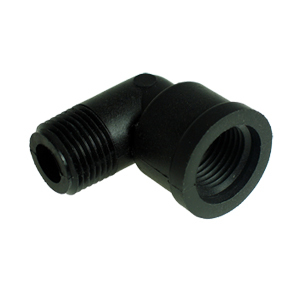 Connects 3/4" rigid tubing with threaded ends to form a 90 degree angle. One side accept female thread the other side male thread. Often used on a pump outlet to change the discharge angle 90 degrees.